• Provision of training and lectures to understanding the radionuclide dispersion and distribution, geochemical and biochemical processes of migration in soil, water and in air and food chains, and radiation effects on humans and ecosystems. 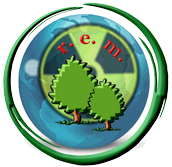 • Provision of assistance to assess site-specific past, present and future radiation levels in terrestrial environments, and to adopt suitable and cost efficient remediation strategies after releases of radionuclides into the environment. • Support in the identification of available radioecological models and environmental decision support systems for radionuclide transfer and impact assessment. • Advise on measurement techniques, interpretation of results and reliability of measuring outcomes. • contribution to experimental work. • Investigation of the mobility of radionuclide in soil and in soil-plant system, determination of transfer factors. Creation of an EDSS (Environmental Decision Support System), which will be able to integrate information in a spatial and temporal resolution to be combined with radioecological transfer models. Results are critical load maps and identification of endangered ecosystems and radioecologically sensitive regions. EDSS allow the identification of critical pathways to protect the environment and humans from radiation arising from radioactivity releases during the operation, decommissioning and waste management of a nuclear facilities or any other nuclear application in other scientific fields e.g. medicine and agriculture. r.e.m. also offers advice on statistical methods and assistance with practical aspects of data analysis.